It is apparent that your dog’s life depends on the choices you make for it. Similarly to raising a child, you need to have perfect awareness when it comes to feeding your pet. A well-balanced diet will definitely prolong the life of your loved furry friend and there probably isn’t a dog owner in the world that doesn’t want that. On the contrary, people get really close with their dogs and develop a very special kind of relationship. Some owners actually take it too far with puppy furniture or crazy dog outfits. We are not going to talk about this today but will rather discuss a very important topic – feeding your dog the right stuff. 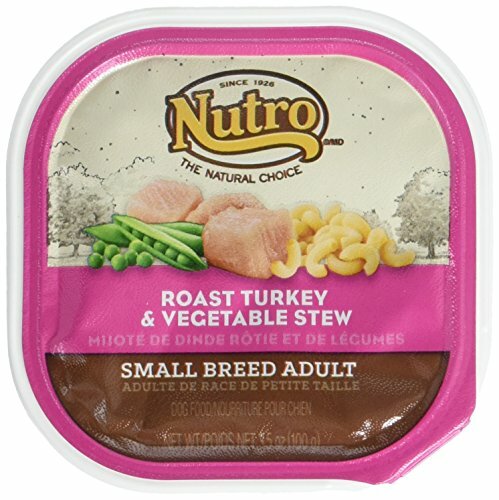 One of the leading companies in this field is Nutro. This organization is truly buttoned-up and you can definitely trust them when it comes to dog food products. Their traditions in this business are impressive as the company has been making such products since 1926. Over the last century they have always been innovative, their food has been tasty and most importantly – healthy. Nowadays their facilities are top notch and they keep improving their products. 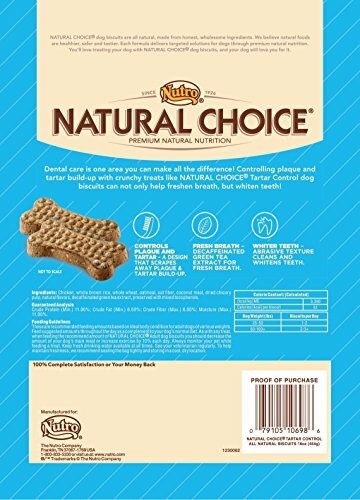 What’s more is that their product lines keep growing in numbers thus satisfying every particular need that a certain dog might have when it comes to nutrition. The folks at Nutro understand the science behind the various dog breeds. There’s no one universal type of food suitable for all breed, sizes or age. This is why you can enjoy a wide array of lines and select the one that suits your dog’s nutrition needs best. The brand has received innumerable praises for customizing foods for the different dog’s life stages. Each kind of food delivers the essential nutrients and energy for a particular age. That being said, firstly you get to choose depending on the age of your pet. There are lines for puppies, adults and seniors. Similarly to humans, dogs’ metabolisms are all different and change throughout the course of life. Ask your vet if you aren’t sure in which category your dog falls. Your dog might be an adult or a senior but some dog breeds never grow in size. 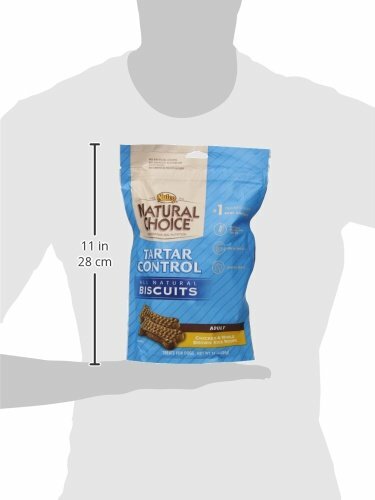 This is why a separate product line exists and it is all about the size of your dog. Again the variations here are three – toy, small, and large. Puppy Foods – These are intended for dogs that are one year old or below. They contain nutrients which help support the dog’s immune system, in addition to strengthening bones and teeth. Young Adult Foods – At this stage, your dog is still developing and, thus, requires the right nutrients. This manufacturer provides low-calorie foods for young adult dogs. 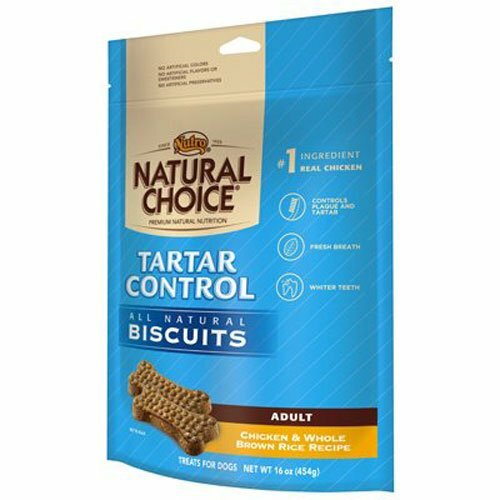 These are specially formulated to help prevent weight gain, which is certainly important at this development stage. Adult Foods – Unique formulations are employed to produce foods which address the various needs of adult dogs. 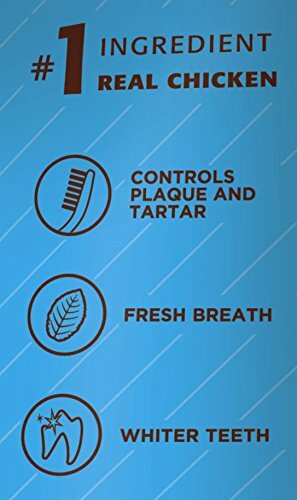 Such include healthy skin, bone strength, digestion sensitivities, and energy requirements. 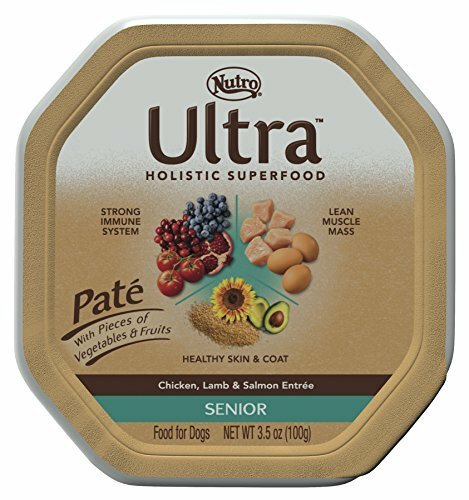 Senior Dog Foods – These are specially designed to help keep dogs’ bones strong, boost their immunity, and support brain health. Ingredients matter the most since a dog’s metabolism differs significantly from the one of humans. Meat is typically the number one ingredient in almost all of the manufacturer’s products. Additionally some packages contain the very important omega 6 fatty acids. The formula combining these acids in dog food is in fact patented by Nutro. This goes to show you the level of devotion these people have towards making top notch dog food. What is more important, however, is what is not contained in this dog food. You won’t find corn, chicken by-products, soy protein or wheat. None of these are good for your dog especially if they are mixed with real meat. Ingredients in general are traceable and come only from verified suppliers. High protein: 70% animal ingredients. Non-GMO, Grain free and free of wheat, soy protein, dairy products, and maize. With zinc and Omega-6 to encourage healthy skin and shiny coat. Taste your dog will love. About 600 quality checks are made each day at the manufacturer’s facilities. In fact the team moto is: “quality starts with me”. Natural ingredients are used and there are no preservatives in any package. Checks are conducted on moisture, density and even on finished products. Nothing gets shipped unless it complies fully with standards. The best part is that there is no 3rd party involved in packaging the dog food. What you see on the label is what you get inside the package. The company does its own packaging thus having 100% control over the process that takes place between the laboratory and the kitchen of the dog owner. 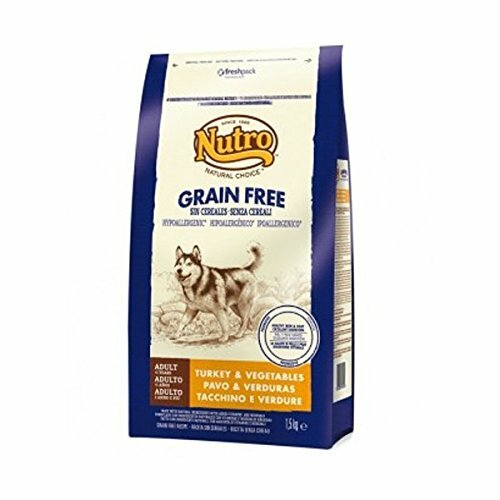 Now let’s have a quick preview on some of the more popular formulas that you can get from Nutro. All of these are a result from a lot of scientific work and tests. Some dogs have sensitive metabolism. You are better off putting your pet on a limited ingredient diet in this case. This recipe mostly includes fish and lamb. On top of it all, the packaging of this particular meal is very fresh with its purple covers. Digestive health is exceptionally important and this adult meal package really helps dogs of all sizes. In case your dog likes to eat a lot and all sorts of things then you might want to consider one of two formulas – the lite one or the weight management recipe. Their names are pretty much self- explanatory. Lite formula is good for dogs that are a little overweight as it will help them achieve some sort of an ideal weight. With the weight management recipe you make sure that your pup, regardless of size will end up maintaining its weight. A key component here is the high presence of fiber and low calories. Your dog will feel full land will not constantly ask for more food. It’s especially worth checking out if your vet has raised concerns over your dogs’ health and weight. 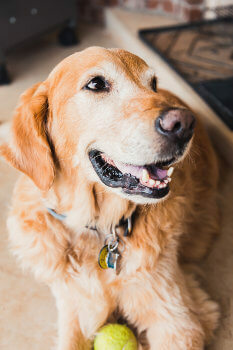 Reducing the overall food intake can have outstanding effects on your dog’s life. This is information you get from the company itself. 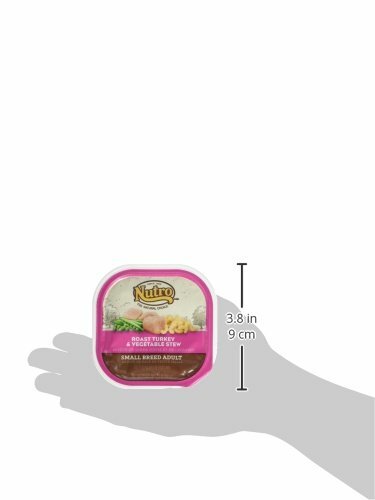 This goes to show you that unlike most companies, Nutro doesn’t want to sell you more food. The company really wants dogs to be healthy and if this means eating less and therefore selling fewer packages of dog food, so be it. They say that a dog owner and their pet look alike. If you are into sports and do jogging often, then chances are you are going to get an active dog. In this case you should perhaps put your dog on a high protein diet. The High Endurance Formula is the way to go. It is suitable for any age as long as the dog moves a lot. From this recipe your dog will obtain about 30% protein and 20% fat. This combination provides big amounts of energy throughout the day and is also perfect for muscle recovery. All you have to do is simply enjoy those giant dog leaps when you throw a Frisbee. 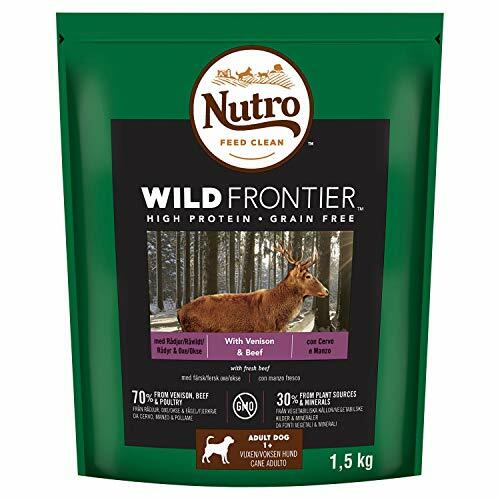 This formula provides a high-fat, high-protein diet that’s ideal for dogs which are usually in high-endurance situations like disaster relief and police work. 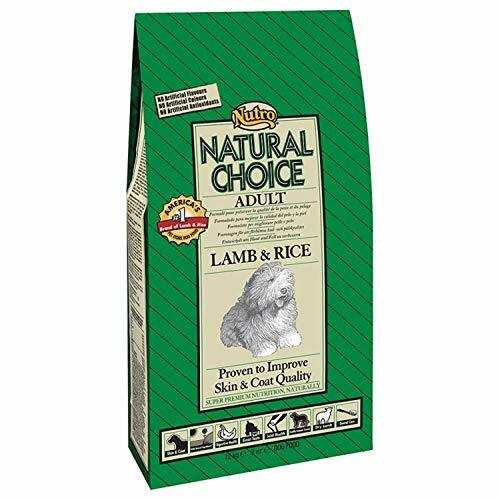 Another great formula which focuses strictly on increasing the muscle mass of your furry friend is the Grain free recipe. It is particularly geared towards active dogs that are sensitive towards grains. It’s known to deliver more than sufficient filling proteins without incorporating grains. The only catch here is that it is mostly suitable for adult dogs. A man, known as John Saleen, purchased a struggling dog food production company back in 1926. He rebranded and made it a family-owned company in California that offered dog foods to residents around the area. Mars Inc. purchased the firm in 1976 and relocated its headquarters to Tennessee. Following a major product reformulation by Dr. Sharon Machlik in 1985, the firm introduced their MAX products’ line, and sales began. After several years, manufacturing operations were expanded, with more manufacturing plants being established in Missouri and California. 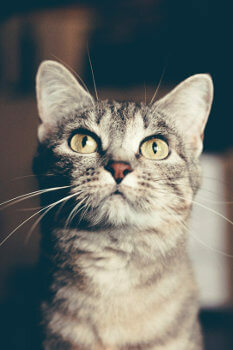 Today, pet owners in regions like Europe, America, Asia, and Oceania can easily obtain the brand’s pet foods. For a considerable span of time now, the company stands out as a popular, leading advocate for making dog owners aware of the benefits offered by healthy, natural dog foods. They also lead the pack in educating the public on the importance of meeting their pets’ dietary needs. As you can see, taking care of your dog’s nutrition is not so hard when you trust professionals. Go for top quality, proven products and enjoy a happy life with your dog by your side.